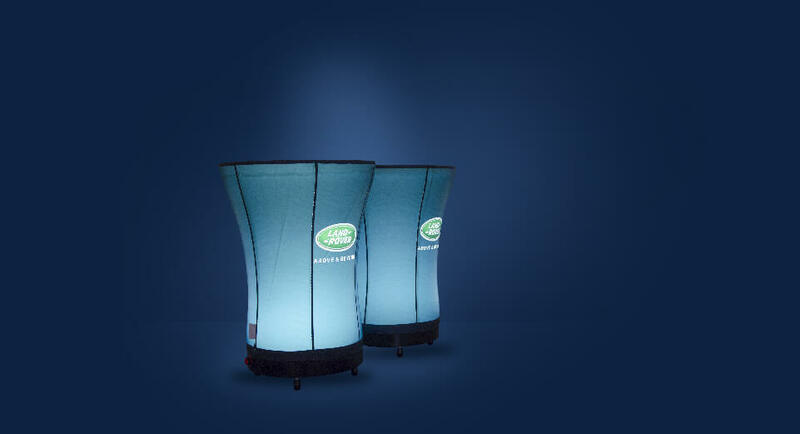 AXION Furniture is a great accessory to complete your inflatable event set. Our set of inflatable furniture contains Donut Seating, Puff Seating, Tables and Desks in different shapes and combinations. They are light and easy to transport and exceptionally stable once inflated. In just minutes your lounge or event furniture of choice can be completely installed. 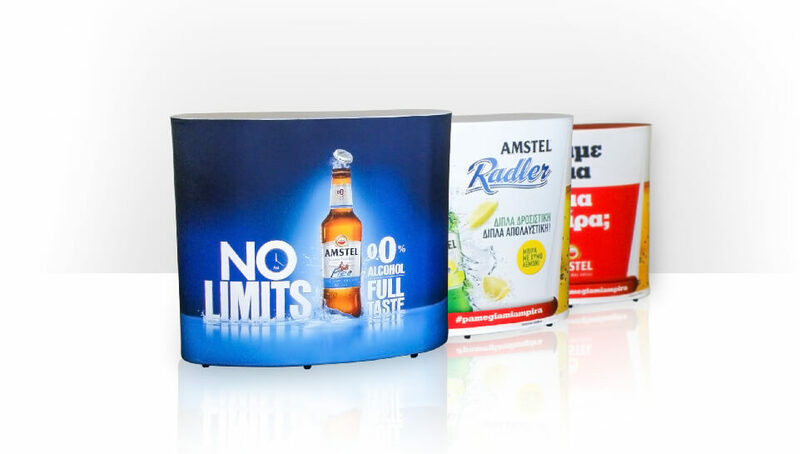 And there’s more: our AXION furniture range is printed with top quality sublimation technology which does not scratch. Why not make your event more friendly, comfortable and inviting with AXION Furniture. A ballast weight plate, or a ballast weight bag (or even the combination of the two), can be used as support for the Bistro or Bongo table. This efficiency makes your inflatable extremely stable. 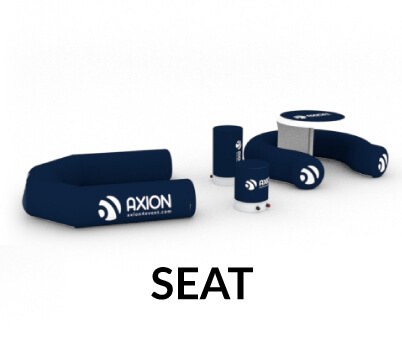 Ordinarily, transport of event furniture can be a cumbersome and logistical challenge, but not so with the AXION Inflatable Furniture range. Each product is packed into a disc shape and fits into a compact, lightweight bag for easy transport. Just think, by using AXION Furniture for your entire event you will be able to cut down on set up time and everything can be transported in a small vehicle. Easy to transport. Easy to set up! All AXION products use 250mic seamless TPU bladder tubes and finished off with HF welding technology. All bladders are accommodated in strong 500D HT polyester, so the whole inflatable structure is rigid, yet flexible in a wide range of temperatures from northern winters to the hot, humid climates. 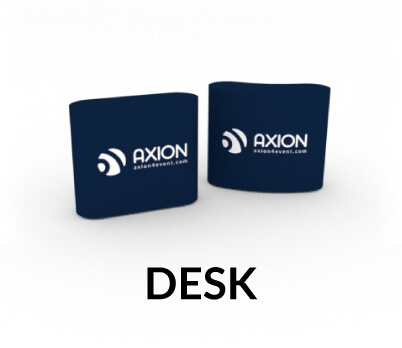 With AXION Furniture we use the latest dye-sublimation, print technologies, with automatic cutting and welding, so each object can have different full-colour design with photo quality. The printed ‘sock’ cover can be easily zipped off and changed for different design without unnecessary investment of a completely new product. 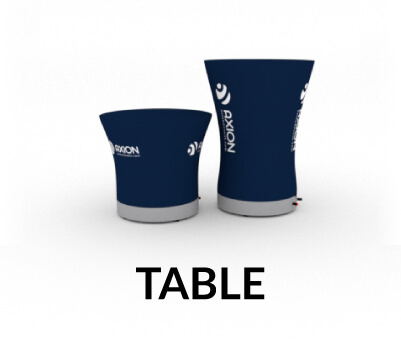 Our Bistro or Bongo Inflatable Table can be internally illuminated using either 230V plug or 12V unplug systems, available in white or RGB versions. Ideal for any night event, illumination works by using modern, flat, LED sources connected to compact, click-in Li-Ion batteries.